The Römerbrücke power station is a combined cycle plant – used for district heating and electricity production – owned by SaarLorLux Company, located in Saarbrücken, in Saarland, Germany. The electric capacity is 132 MW; the thermal capacity is 230 MW. A chimney 177 meters high helps reduce the emissions in the vicinity of the complex. 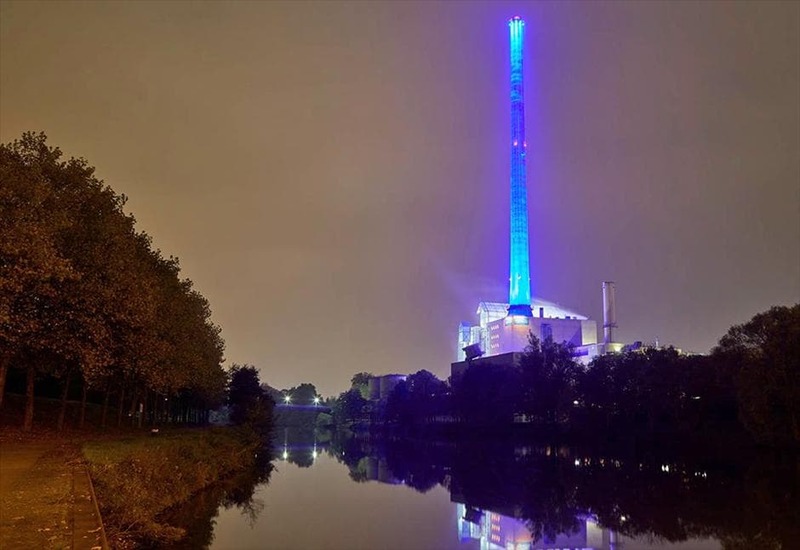 On the occasion of the 50 years of activity of the plant, the task of lighting the chimney has been entrusted to Absolute Light + Sound company; the lighting design is pretty unique: for the first time an industrial chimney of this size is illuminated from above and from below. For this demanding installation were used 24 x DELTA 12 FC Led Wall Washers.